Hell was let loose recently in Abayawo, Ilorin, Kwara State capital, Southwest Nigeria after a middle aged man’s corpse was recovered from a well at Ile Alowo-Eru in the area. A mob, suspected to be kinsmen of the victim, identified as Kabiru Yellow of Oju Ekun area in Ilorin, went on the rampage in Ile Alowo-Eru, vandalising properties to evenge the death of their kinsman, whom they believed did not accidentally fall into the well but was murdered because of a woman. While the police claimed that Yellow accidentally fell into the well and died, the angry mob alleged that Yellow was murdered and thrown into the well on the allegation that he was found with a woman betrothed to a man from Ile Alowo-Eru. P.M.NEWS gathered that Yellow had escorted the woman identified as Rasidat Imam who had paid him a visit in his house at Oju Ekun when he was accosted in Abayawo area by some men who accused him of dating the fiancée of their kinsman. Enraged by the circumstances of Yellow’s death, his family members and sympathisers, were reported to have vandalised some vehicles parked by the roadside before torching some buildings in the area. Security men from Oloje Police Station were later mobilised to disperse the mob while men of the state fire service were invited to put out the fire set by the mob. The state Police Public Relations Officer, PPRO, Olufemi Fabode, did not confirm if any arrest was made during the rampage but stated that the remains of Yellow had been deposited in the morgue at the University of Ilorin Teaching Hospital. 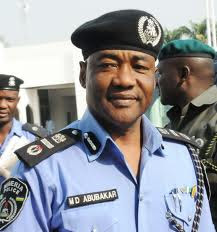 According to Fabode, Abu Baba, who reportedly challenged Yellow over his relationship with the woman, when he saw them together was already in police custody for interrogation, adding that investigation on the circumstances that led to Yellow’s death was still ongoing.